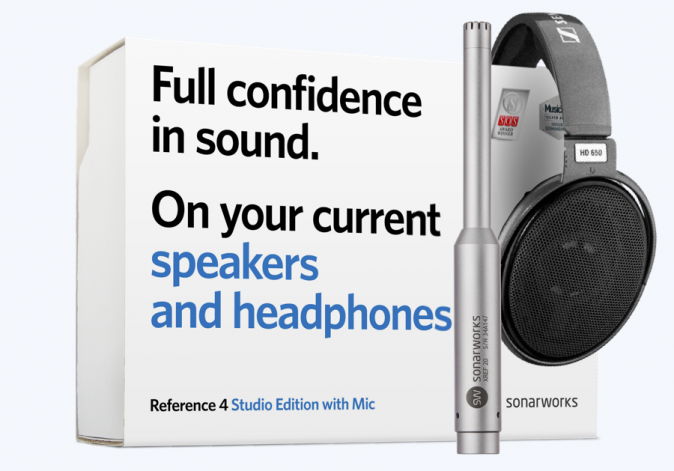 EduardKort has teamed up with Sonaworks to gift one of their fans with a brand new microphone! To enter in their latest Reference 4 Premium Bundle Giveaway grab your free entries by following few simple steps listed down below! Reference 4 Studio Edition offers the full package of highly powerful software, providing consistent reference sound, both in the studio and on the go. You can also measure your studio with the included mic, in only 10 minutes. Reference 4 then creates a calibration profile. For headphones, select a pre-made profile and you’re ready to go. Calibration can be run in DAW via plugin for lowest latency or via Systemwide for maximum versatility. Not known how a winner is going to be contacted, probably by email and announced in a giveaway widget shortly after giveaway ends.